Hi there! 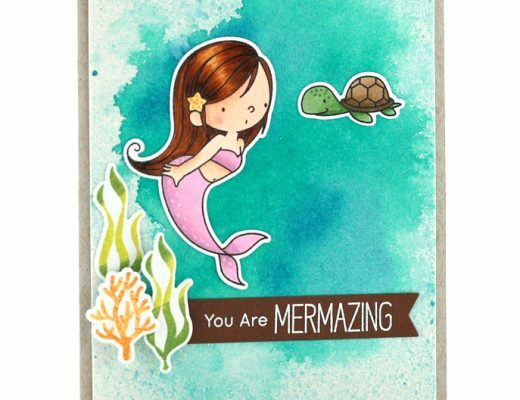 Today’s card is all about the background. Sometimes you don’t have quite the stamp you’re looking for to create your scene and you have to improvise. 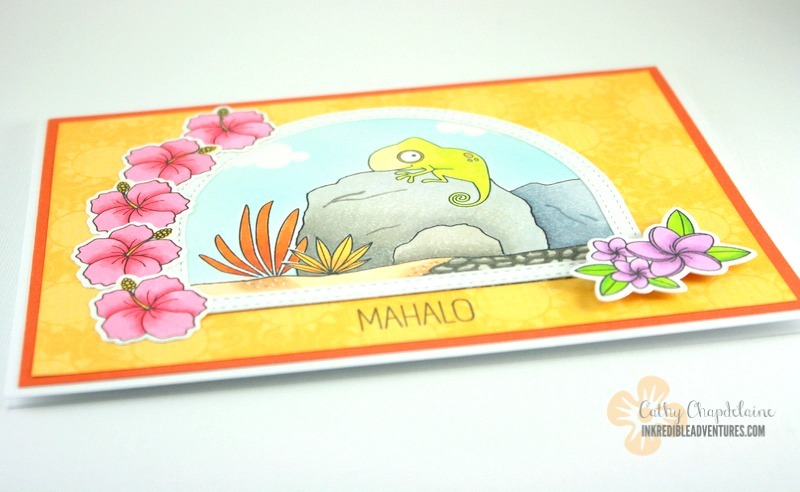 I wanted my little chameleon to chill on some big volcanic rocks (think Hawaii here) and I had some tropical plant and flower stamps, but no big rocks. Out came the Copic multi-liner pen. First I die-cut 80lb. 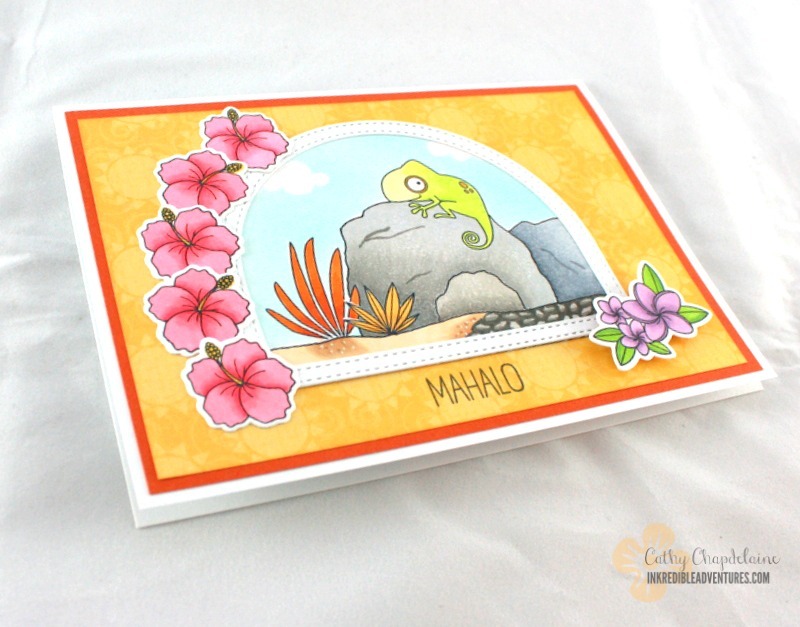 Neenah Solar White Classic Crest cardstock using the My Favorite things Dome Frame Die-namics. I’m loving this die right now, so prepare to see it used again soon. 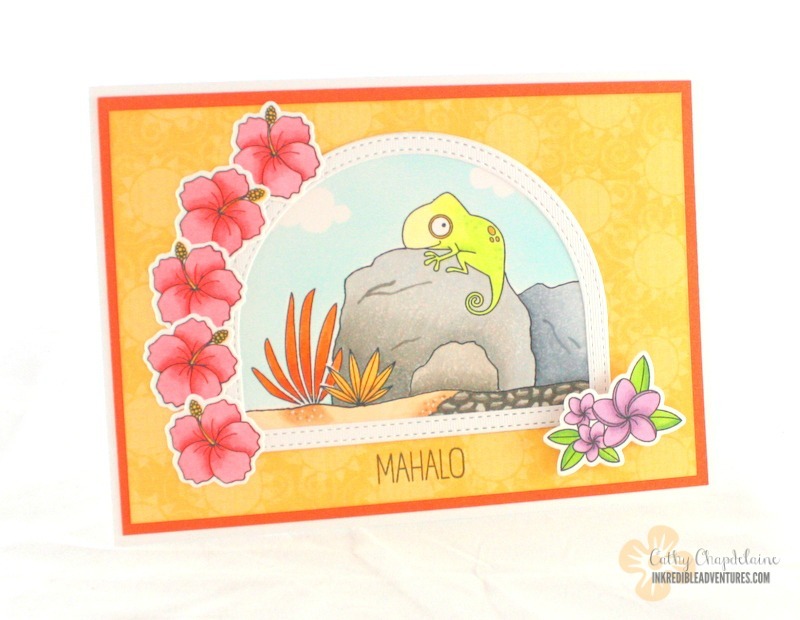 I first had to stamp the Chameleon from the My Favorite Things Polynesian Paradise stamp set using the MISTI. I allowed plenty of room beneath for the large rocks. 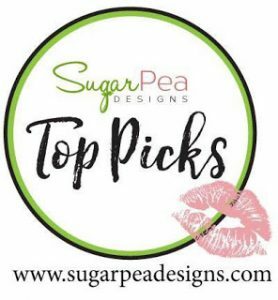 I then stamped the orange and gold plants from the My Favorite Things Blissful Blooms stamp set below the chameleon towards the bottom left, masking off the smaller gold plant before stamping the larger plant behind it. 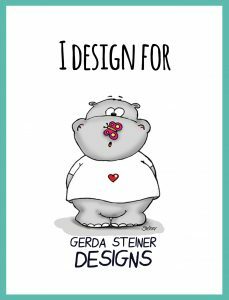 Now I was ready to draw the rocks and sand. Using a Copic multi-liner, I first draw an irregular line across the bottom of the scene at the base of the plants. This area was for the sand. I then began drawing from each side of the chameleon down towards the sand line. I added a few smaller rocks to the side and in front of the large rock. I was now ready to color and I chose to start with the sky. 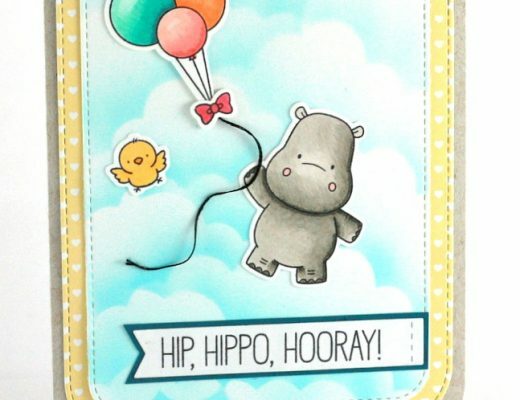 I die-cut 2 small clouds from the My Favorite Things Puffy Clouds Die-namics and taped one to each side at the top, overlapping the edges, and masked the stamped images. I also had to mask the rocks and sand. The nice thing about eclipse tape with masking is the ability to see through it. I cut a large piece of the tape, laid it across the scene and traced the rock/sand outline. I cut along the outline and voila! Masked rocks and sand. You could use ink daubers at this point for the sky, but I used the Copic airbrush system for a clean even coverage. I colored the rest of my scene with Copics and added a little pebble rock area for more interest at the bottom. I adhered my scene to the card base centered on a sunny patterned paper from a Hobby Lobby Paper Studio paper pad matted on orange cardstock and adhered the stitched dome frame portion of the die-cut to my scene. 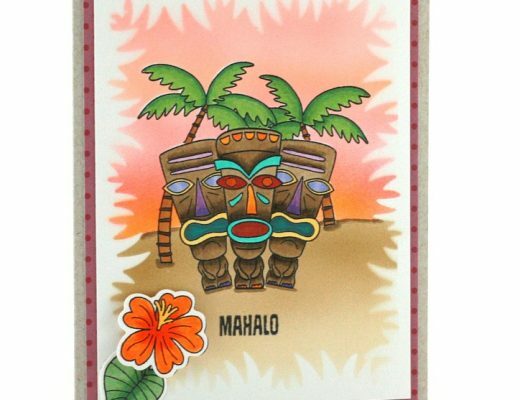 I finished it off with stamped, colored and die-cut hibiscus on the left side and a flower cluster popped up with dimensional adhesive on the right from the Polynesian Paradise stamp set and coordinating Die-namics. A simple Hawaiian sentiment at the bottom and my tropical chameleon paradise is complete!